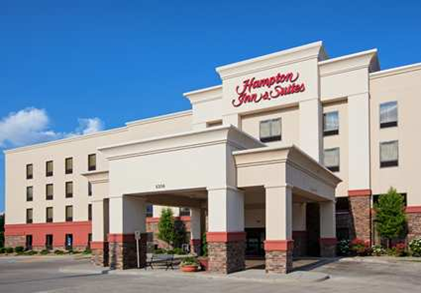 Count on the Hampton Inn & Suites Canton to provide all you need for a relaxing and productive stay. 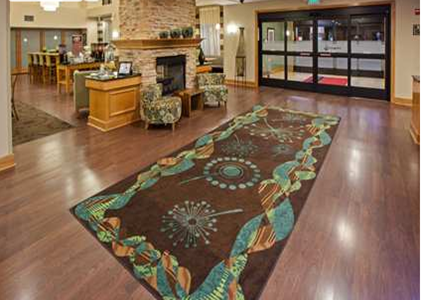 Relax at the hotel, enjoying a free cup of coffee by the two-story stone fireplace in the cozy lobby, or take advantage of the hotel’s convenient location and visit the surrounding shopping, colleges and close-by Pro Football Hall of Fame. Refresh in a comfy guest room or suite. 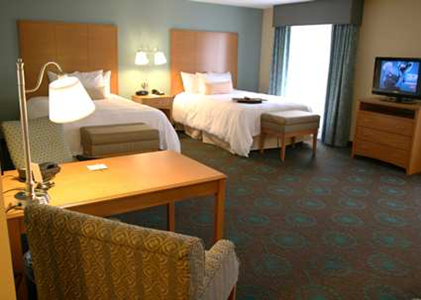 Each room is equipped with free high-speed internet access and a 32 inch HDTV. Wake up to fresh coffee in your guest room coffeemaker and plan tomorrow’s activities at the desk or using the convenient lap desk. When you’re ready for some rest, hunker down for the night in your Clean and Fresh Hampton Bed. Start your day right with Hampton’s free hot breakfast, served daily. Even if you are in a rush, grab one of the free Hampton On the Run Breakfast Bags for a quick, healthy meal to go. You can ask any of the knowledgeable, friendly team members for restaurant recommendations for lunch or dinner. The fitness room and pool will keep you in great shape.